Shake Shack is opening its first restaurant in the Asian region later this spring in the space left by the iconic RED Bar + Restaurant at ifc mall. The burger giant made its mini debut in Hong Kong this past Saturday, 14 April 2018 with a pop-up, expectedly drawing a large crowd. 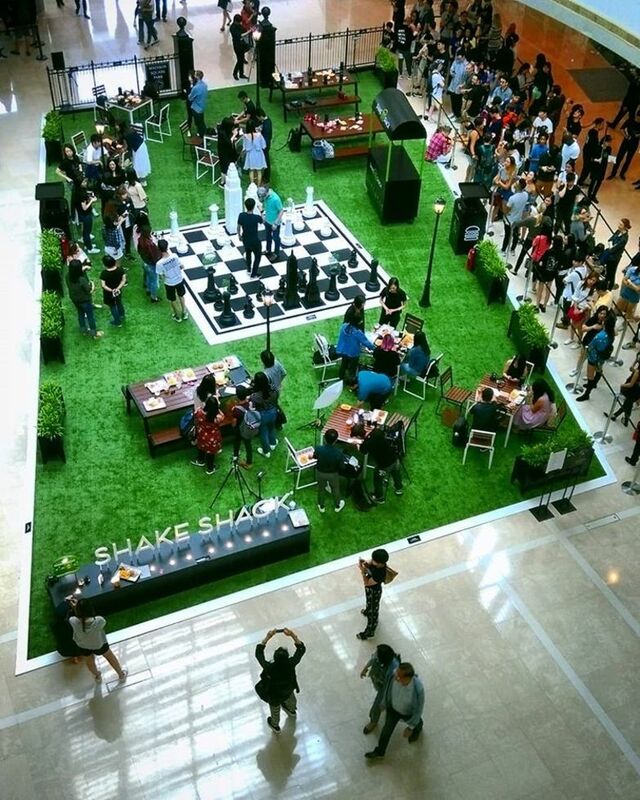 Amongst those queuing up were activists from WildAid, shining a spotlight on the relationship between Shake Shack and Maxim’s (the partnership with Maxim's Caterers Limited is what’s bringing Shake Shack to Hong Kong). 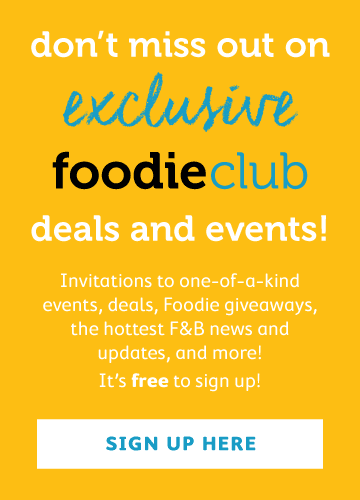 One of the hottest burger chains around the world, American brand Shake Shack includes a number of vegetarian options on its menu (including the beloved portobello ‘Shroom Burger) and is proud of its vision to Stand For Something Good®. Is it this misleading vision, perhaps, that is troubling to those who have been asking Maxim’s to end their sale of shark fin soup? 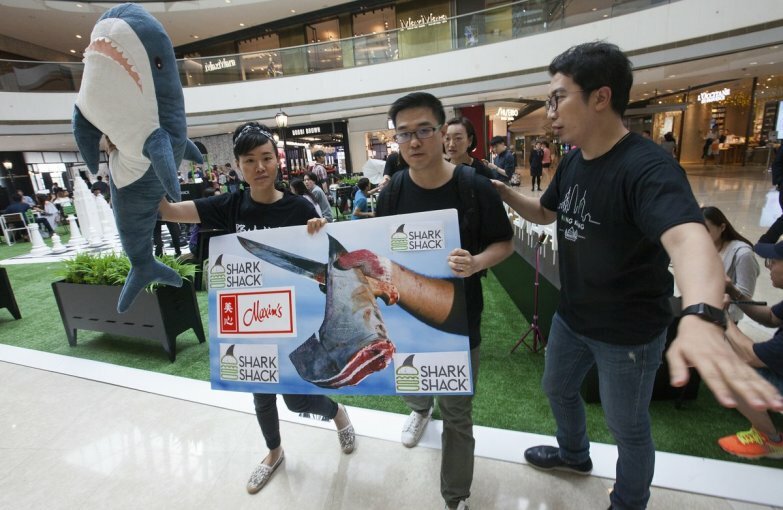 In an open letter to Shake Shack written by wildlife campaigner Alex Hofford, WildAid outlines their considerable efforts to ban the trade of shark fin (and elephant ivory). They have been engaging Maxim’s since 2016 and have encouraged Shake Shack to pick a side on the issue. “We hope that with your help, as a forward-thinking and sustainably minded company, you can join us in exerting maximum pressure on Maxim’s,” wrote Hofford. With no response to date from either Maxim’s or Shake Shack, the activist group has called on investors to dump Shake Shack stock, accusing the burger group of greenwashing with their Corporate Governance statement. But, as always, it’s the consumers who ultimately decide. EDIT 21 Sept 2018: Maxim's has agreed to phase out all shark fin in all restaurants, starting from January 1st 2020. A statement from the company says shark fin will be available until then, upon request and to fulfil advance booking commitments.